So often it seems like businesses just aren’t on your side, and when you’re buying a used car that can seem even more true. 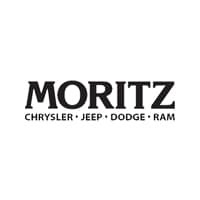 At our Fort Worth Chrysler dealership, we want to buck the trend and give you an experience that leaves you feeling secure in your purchase when you wake up the next morning. That’s why we’re proud to offer the Moritz Promise. Our promise to you guarantees that you will never have to worry about the powertrain in any used vehicle under 10 years and 100,000 miles that you purchase from us. As long as you own your vehicle, its engine and transmission will be covered! Our promise provides you with the ultimate peace of mind. Engine: Cylinder block and cylinder head and all internally lubricated parts, turbocharger, supercharger, harmonic balancer, timing gear, chain and belt, timing cover intake and exhaust manifolds, valve covers, oil pan and engine mounts.